Chestnut honey is a favorite among French and Italian gourmet chefs, but this bitter-sweet, almost savory honey has so much more to offer than just stimulation to the taste buds. Turns out, chestnut honey is one of the healthiest honeys (and sweeteners) out there thanks to its mineral content, exceptionally strong antioxidant properties, and powerful anti-bacterial properties. 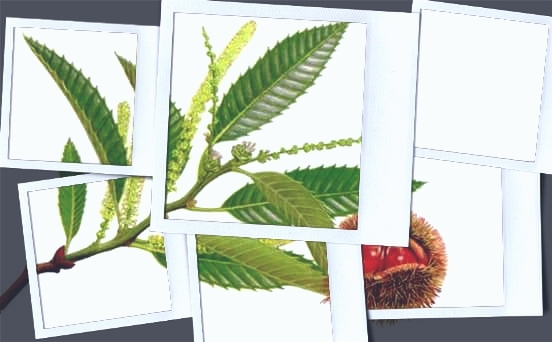 Continue reading to get the full scoop on the health benefits of chestnut honey, or Miele Di Castagno as they call this sweet 'gift of God' in Italy. Chestnut Honey Contains Minerals. Unlike white sugar which is practically devoid of minerals, raw honey contains small amounts of these vital nutrients – one of the reasons why honey is considered healthier than table sugar. However, the mineral profiles and concentrations can vary considerably between different types of honey. Chestnut honey has been shown to be a particularly good source of potassium, calcium, and manganese. It has also been shown to contain more minerals than many other honeys. Honey is well-known for its anti-bacterial and anti-fungal properties, but some honeys, including chestnut honey, carry out their anti-bacterial activities better than others. A group of researchers from Spain found that chestnut honey had strong antimicrobial activity against Staphylococcus aureus and Escherichia coli; the other tested honeys had no activity against S. aureus and only weak activity against E. coli. In addition, other research suggests that chestnut honey also has moderate antimicrobial activity against Helicobacter pylori, Bacillus subtilis, Candida tropicalis, and Candida albicans. It has been proposed that the antibacterial properties of chestnut honey might be partly related to its lysozyme content (lysozymes are enzymes that damage bacterial cell walls). In several studies comparing the antioxidant capacity of different types of honey, chestnut honey has come out on top. This dark-colored honey has also been shown to contain exceptionally high levels of phenolic acids, compounds that are likely responsible for much of its extraordinary antioxidant capacity. As you may already know, antioxidants in foods like chestnut honey help protect our bodies from the harmful effects of free radicals. Free radicals are unstable molecules that are generated by things like the sun's UV rays, smoke, drugs, pollution, pesticides, and metabolic processes. By limiting your exposure to free radicals and by eating antioxidant-rich foods that neutralize these harmful molecules you can reduce your risk of many age-related diseases and health problems, including cardiovascular disease, cancer, pre-mature wrinkling of the skin, cataracts, and rheumatoid arthritis. The somewhat bitter flavor of chestnut honey makes this dark-colored honey ideal for all sorts of savory dishes. If you like its intense flavor, you can also spread it on toasted bread or use it as a healthy, natural sweetener in tea.